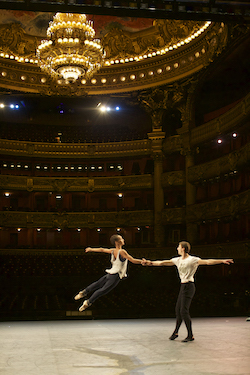 One of the most world-renowned and architectuarally beautiful buildings in the world, the Palais Garnier, is home to both the Paris Opera and the equally respected and famous Paris Opera Ballet, where approximately 154 dancers call this dance space their daily workplace, along with the many other varied creative artists in residence. Take your place within the theatre, surrounded by over 2,000 other red velvet seats, including private loges or boxes rising above you all contained within a horseshoe formation. The metal sructure holding everything together is hidden by vast amounts of marble, stucco velvet and gilding and crowned by an eight-tonne bronze and crystal chandelier with 340 lights. Try to imagine a 1,200m2 surface capable of fitting a full-scale Arc de Triomphe, along with 450 performers! On stage, you will look up at a height of 60 metres, across a width of 48.5m and depth of 27m. 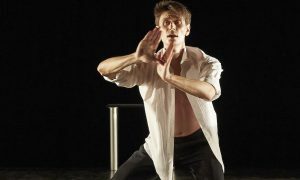 In more recent times, the Foyer took on the more practical role of daily rehearsal space for the corps de ballet, as well as the dancers’ warming up and practise space used before and during performances. 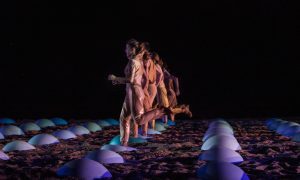 During larger productions or special events, such as the annual procession of the corp de ballet, the Défilé, the Foyer de la danse is exposed, completely confounding our sense of perspective by creating the illusion of dancers arriving from a far distant horizon. 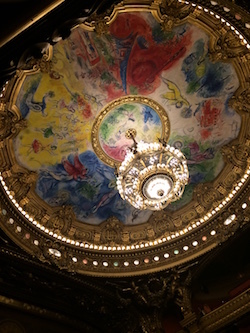 Once seated inside the theatre, glance upward, to the ceiling painted by Marc Chagall in 1964, not always appreciated by the patrons, some of whom may have preferred the previous ceiling, which is still there, hidden and protected above Chagall’s. 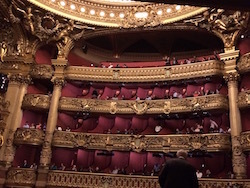 Managing this venerable institution requires literally kilometres of corridors and numerous levels to house administrative offices, wardrobe, as well as rehearsal studios, with names such as Petipa or Nureyev. 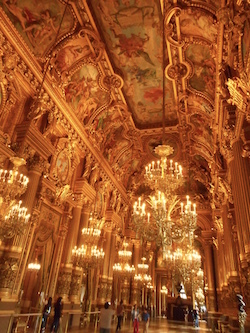 No doubt you become accustomed to dancing in a space which was built in the era of Napolean III! Then there are the legends. 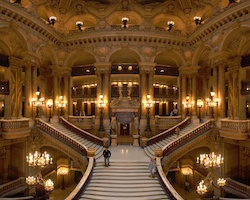 The “Phantom of the Opera”, based on the book by Gaston Leroux, includes the iconic scenes of the phantom and the mythical lake, under the Paris Opera House. This is based on reality, as there really is a reservoir of water under the Palais Garner, which was part of the original plans in order to both stabilise the building’s foundations and provide a reserve of water in case of a fire. 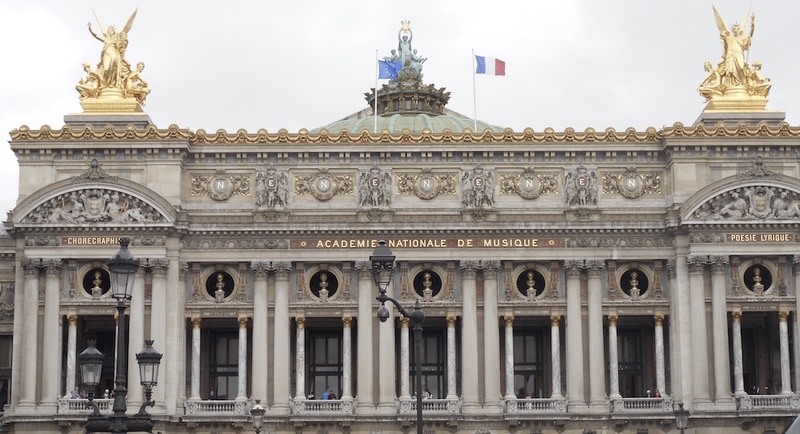 For those dancers who have aspirations to dance on this mythical stage, there is an annual exam to recruit dancers outside the Paris Opera Ballet School. In 2017, this was held on 6th July and is open to all candidates under the age of 26. Hannah O’Neill, a New Zealander and previous student of The Australian Ballet School, was accepted into the corps de ballet via this external process at the age of 20 and is now a soloist, or première danseuse, with the Paris Opera Ballet.